The Sky Fortress instance is part of the Episode 16.1, check out the Banquet for Heroes for more information. Prerequisites must be completed for each character. To gain access to the instance, you must have access to Invaded Prontera. Head to the bottom right corner of Invaded Prontera map and talk to Scientist Doyeon. 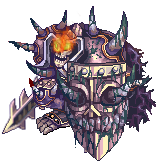 Preparation: Bring Tokens of Siegfried in case your party is wiped, and prepare a party that can deal with the MVP's Hallucination Walk. Once inside, talk to Stefan J.E. Wolf to trigger the dialogue. A weak version of the MVP will appear, followed by several waves of Immortal Zombie Soldiers. Kill them to continue. Talk to Stefan J.E. Wolf again to open the portal to the staircase area. Going up the mob-infested staircase, there will be several locked doors along the way. You can open them using Sky Fortress Keys. 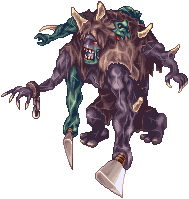 Entering the doors will bring you to one of several rooms filled with monsters. At the end of each room, there's either a boss monster or a Treasure Chest. At the top of the staircase area is the MVP room. Walk north and talk to Stefan J.E. Wolf to begin the MVP battle. Additionally, once the MVP is below a certain HP, numerous Earthquakes will happen all over the room, each preceded by a purple splash effect 3 seconds prior. Keep an eye out for the splashes, and reposition immediately if it appears near your character. Once you've defeated the MVP, you can leave the instance using the escape portal in the middle of the room. Immortal Cursed Knight Card Weapon Card ATK +10%. Has 2% chance of autocasting Ignition Break Lv 5 on a target when performing physical attacks. If equipped with Stephen Jack Ernest Wolf Card, ASPD +1. Immortal Wind Ghost Card Weapon Card MATK +10%. Has 1% chance of autocasting Killing Cloud Lv 5 on a target when performing magical attacks. If equipped with Stephen Jack Ernest Wolf Card, reduce Variable Cast Time by 10%. Stephen Jack Ernest Wolf Card Footgear Card Has 3.5% chance of autocasting Fire Walk Lv 5 on the wearer when receiving physical attacks. Has 8% chance of autocasting Electric Walk Lv 5 on the user when receiving magical attacks. Has 3% chance of gaining Flee +200 for 10 seconds when performing physical attacks. Has 2.5% chance of gaining increased Movement Speed when performing magical attacks. If equipped with Immortal Cursed Knight Card, ASPD +1. If equipped with Immortal Wind Ghost Card, reduce Variable Cast Time by 10%. Vicious Weapons are dropped from the monsters inside the Sky Fortress instance. Similar to Crimson Weapons, they gain a substantial amount of ATK/MATK with higher refines, up to +15. Additional Matk + ((upgrade level * upgrade level) / 2) up to a maximum upgrade level of 15. Additional Matk + (upgrade level * upgrade level) up to a maximum upgrade level of 15. Matk + ((upgrade level * upgrade level) / 2) up to a maximum upgrade level of 15. Vicious Mind Book with its Bonus Enchants. Each of these weapons come with 3 Bonus Enchants which are randomly determined. Keep in mind that these bonuses vary greatly, so you will need to inspect each new item one by one to see if they are worthwhile to you or not. Physical damage to [element] enemies +1~20%. Weapon cannot be broken in battle. Magical damage to [element] enemies +1~20%. Due to an update, players can now re-roll the enchants of Vicious Mind weapons, making it easier to get a desirable weapon after refining. The weapon that will get its enchants re-rolled must be equipped. *Note: In both options, the refinement level of the equipped weapon and the card compounded won't be affected. This means that a +7 weapon with a card will stay +7 with a card after having its enchants re-rolled.